Awnings provide many practical and aesthetic benefits for your business but have you thought about what type of material will be the best choice to enhance your building? Metal awnings and fabric awnings are both common throughout the industry and choosing one that adds the most value to your business can be a tough decision. Lets take a quick look at some pros and cons on the variety of materials that awnings can be made of! • Pros: Fabric awnings are very popular and come in a variety of different designs and colors. They are often inexpensive and can be relatively easy to care for. • Cons: They do not typically stand up to mildew and mold and they don’t stand a chance of holding up to severe weather. They can easily rip and will require replacement more often than other materials. • Pros: They can be extremely durable and can last for years. They offer an aged look and can change color over time, which can be both a pro and a con, depending on the look you want to achieve. • Cons: They are typically the most costly option and can tarnish very easily. 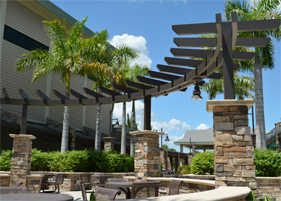 Copper awnings should be maintained frequently if you want to keep them looking like new. 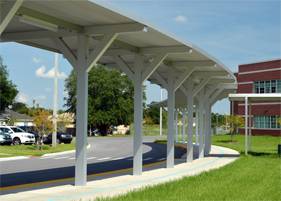 • Pros: Metal awnings provide energy saving benefits and can protect against UV rays. They are also inexpensive, lightweight, eco-friendly and can last for many years. Aluminum sun shades and awnings need little maintenance and can be painted to match the look of your business. 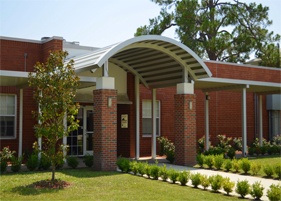 Aluminum awnings will keep their look for many years and offer a clean and modern feel to your building. • Cons: They will require installation by an experienced contractor. Metal awnings do not require much maintenance and can be the most inexpensive and cost-efficient option to improve your business both aesthetically and practically. 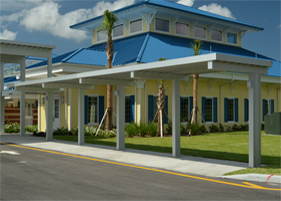 If you’re looking for an aluminum canopy option for your business, Perfection Architectural Systems offers long term solutions for every project. 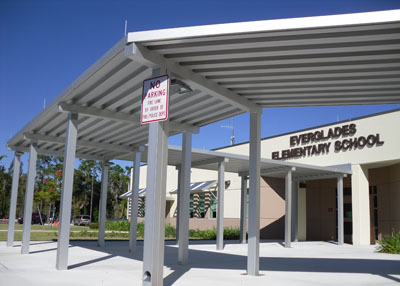 Call us today at 800-238-7207 to get started on your next aluminum canopy solution.